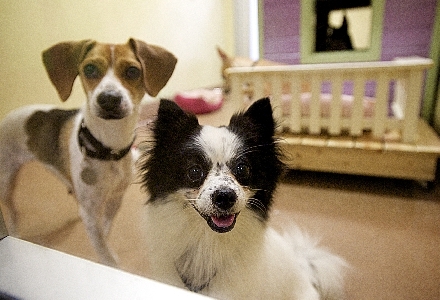 Adopting a pet is all about finding the right pet for you! Welcome to PAWS Chicago. By filling out our adoption survey at our Adoption Centers, you will answer questions about what you are looking for in a pet. Our volunteers and Adoption Counselors are on hand to guide you every step of the way. 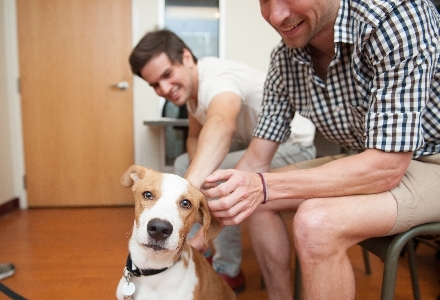 After completing your survey, you will receive a Guest Pass to meet pets of interest to you. With your Guest Pass, volunteers will introduce you to any pet you like so you can spend time getting to know one another. Whether you spend time in the pet’s suite, on our rooftop deck or in our play space, we encourage you to get to know your prospective new pet. When love strikes, simply let one of our volunteers know that you would like to proceed with adoption. Fill out your adoption application online prior to arriving at PAWS Chicago ( see below ), so we can print the application for you at the Adoption Center. Spay or neuter any resident pets before you adopt. This is the most important thing you can do to help stop pet overpopulation, and also gives your pet many health and behavioral benefits! Please give yourself several hours to complete the process to adopt an animal as we are expecting to be very busy and want to give each animal and adopter the time they deserve! 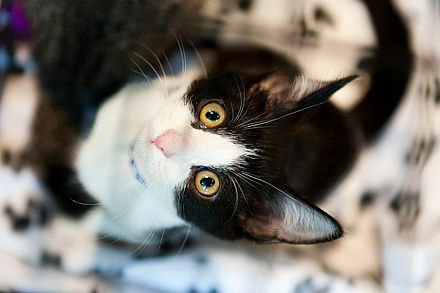 *We understand there are some responsible reasons why you might choose to not spay or neuter your pet. If that is the case in your home, please bring along the related veterinary records and ask to speak to a manager who will help determine whether we are able to approve your application to adopt. *This fee includes a $100.00 deposit which is refundable upon completion of obedience training. You will have four months from the date of the adoption to complete a basic obedience class with your new puppy/dog. When you provide proof that your PAWS dog has completed a course, we will reimburse you the $100.00 deposit you submitted at the time of adoption. visit one of our adoption centers to have it reprinted. let's get started! Just click on your choice of a cat or dog application below. to have your application printed and reviewed by our adoption staff. We will keep your application on file for two weeks. *Please note that PAWS cannot guarantee that the animal you submitted an application survey for will be available.